Internet businesses face the challenge of building brands in the highly crowded and competitive virtual world, and attracting the traffic and advertising revenue among many more online competitors. The dotcom bust from 1999 to 2001 was a product of companies receiving a lot of investment funds to raise awareness and make money, but not thinking enough about the business model. Companies were over-extending, employing a lot of people, in the belief that there would be a lot of money coming in which never happened. PropertyGuru (www.PropertyGuru.com) is an example of “home grown” Internet-based business that got things right from the beginning, and has grown to dominate the property market in Singapore and increasingly in other SE Asian markets. The Company now has presence in 9 Asian countries directly and via partners. The brainchild of Steve Melhuish and co-founder Jani Rautiainen, in 2006 they identified a gap in the market to set up a one-stop shop for property. 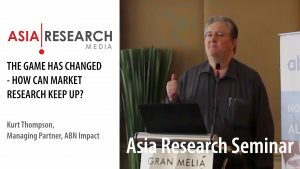 In an interview for BDRC Asia’s SME Series, Steve comments “the facts are that buying a property is the single most expensive investment you make, it’s a high risk decision, and in the past people did not always have all the information or the right information to make the best decisions”. The concept of PropertyGuru (www.propertyguru.com.sg) was to bring everything into one place to include finding property, access to research, news, editorials, and links to 3rd parties including property agents and banks for home loans. Today PropertyGuru has 9½ million people viewing 75 million property pages on their website every month. 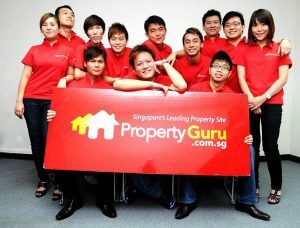 In just two years ‘PropertyGuru’ was the 9th most searched word in the Internet in Singapore. With those kinds of hit rates, the revenue from online advertising is huge and from an initial investment of about S0,000 to start the business, today PropertyGuru’s revenue is in the tens of millions. So how did PropertyGuru achieve this from nothing and how much does market research now play in the company’s success? Steve comments “When I moved to Singapore in 2005, a lot of people I spoke to had a strong opinion and were very knowledgeable about the property market. With a property boom in 2006, things were going crazy and yet when I went online there was nothing that brought everything together, so I pitched a business plan to an investor, he introduced me to Jani and we started building the business”. Steve continued “There had been a couple of companies in Singapore who tried to do it in 2001/2002 but they failed, and there was no one operating in this space until we set up in 2007. However when we started we actually faced three direct competitors at this time”. The first challenge was to raise brand awareness. While they did not spend money as a start up on market research, e.g. to understand how best to raise awareness, intuition and instinct kicked in – something an entrepreneur can rely on at no cost! Where do you often find people looking for property? – on the road. Steve comments “Real estate agents are on the road, much of the time doing viewings, etc.” Hence the team started by thinking of a catchy name (getting people to vote for their favourite name using ‘Survey Monkey’) and logo, and then advertised on the side of taxis. In tandem with this, they invested in online marketing to draw consumer traffic to their site and provided leads for their advertisers. Steve comments that the combination of the two was very logical. Initially, most inquiries to PropertyGuru were from expats for rentals, since in relocating to Singapore your first port of call for property is going to be online. Over time, this has shifted and today 80-90% of visitors to the PropertyGuru website are Singaporeans for purchases rather than rentals. Despite the three direct competitors who set up at the same time, PropertyGuru today command approximately 80% marketshare. PropertyGuru’s success was on focussing just on property, whereas the other sites covered other verticals in the general classified websites. By focussing just on property and initially just on Singapore, they could build greater value and make it a truly one stop solution for visitors that included taking photos of every condo in Singapore, build databases on schools nearby, public transport, etc. And then they turned to public housing market or the HDBs including taking 55,000 photos of HDB developments, generic zovirax thereafter they introduced their first mobile application. Steve comments “Today everything has to be mobile! Some people are grappling with moving from traditional media to online, but in our space nearly half the people viewing PropertyGuru are doing so through their mobile devices now and with it they are looking to see properties based on their GPS positioning technology”. The focus was about continual innovation. In addition to these core business development initiatives, they also built an editorial team so as to build its image as experts in their fields, i.e. real “Property Gurus”. In the early days, PropertyGuru undertook research in a similar manner to the other businesses we have interviewed for the SME series, e.g. speaking to their own staff and obtaining feedback from customers and property agents on a daily basis. For example customers would say “wouldn’t it be nice if you did this, or could do that?” As a small business in the early days, they benefited from being very close to customers and being able to gather this feedback and implement things very quickly. As the business grew, things became more structured, and with more staff they would have internal brain storm sessions where they would talk about ideas coming through their sales teams, the marketing teams, and looking at best practice from outside of Singapore. 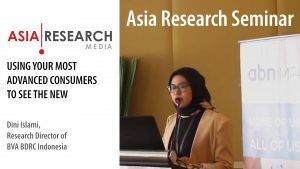 Among all the SMEs we have interviewed in this series, PropertyGuru is by far the biggest advocate of market research, and in many ways IS a market research company. With their own large database of agents and consumers, they implement their own online surveys to tap investor sentiment, assess people’s views of affordability, pricing, and trends in each country. Every 100 to 200 people who come to the PropertyGuru website receive a pop-up and are prompted to fill out a short survey form which allows them to get a picture of the demographics of their visitors. Also, their editorial team needs up-to-date information on the property market and consequently they created more functionality on their own website, e.g. to collect transactional information, in order to generate this research as well as publishing close to 600 articles every month in 3 languages. And today they now undertake focus groups with external market research agencies to aid them in their brand strategy, and about 20% of their staff is in some way involved in the marketing and innovation process in the company. They use Nielsen and boutique agencies, and are heavy users of online traffic measurement services including Google Analytics, truehits.net, Experian Hitwise, Effective Measure and others. Steve comments that as the business has matured, they have become far more open to doing more formal pieces of research. 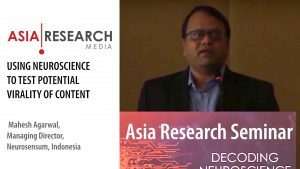 For example when they expanded into Malaysia, Thailand, and Indonesia they commissioned consultants to undertake primary and secondary research to understand media landscape, competitors, real estate, etc. “A lot of this was also about supporting our gut feel” says Steve. Over 90% of ProperyGuru’s revenue is from advertising including from real estate agents, developers, and banks. Other property related suppliers are also coming in including interior designers, lawyers, and they even have revenue from their “LoanGuru.com.sg” website which includes all the home loan packages available in Singapore. PropertyGuru obtains a small fee from the bank for each bank home loan referral. They publish their consumer confidence index every quarter. While this is a free service, the property analytical reports are sold to real estate agents, and there is potential to develop their information service even further. Steve says if information is scarce and can be up-to-date and packaged in the right way then certainly more of their research would be saleable both to retail and institutional investors – perhaps the next Bloomberg!